Finished it today! I've really been enjoying my Fashion/Textile class. 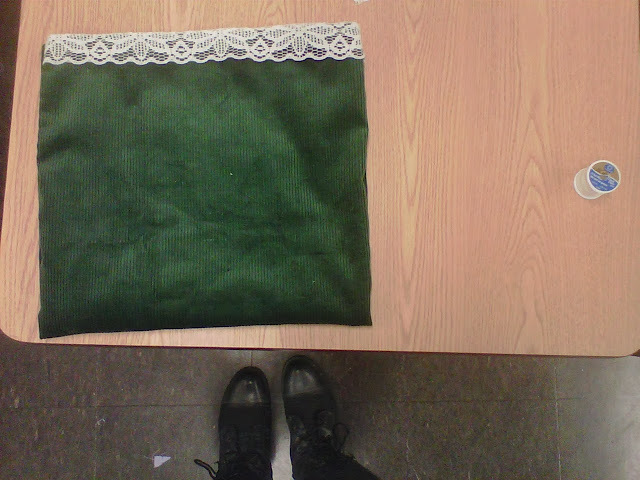 The first non-basic project I started working on was this oversized clutch. The only thick material I could really find was this green corduroy, so I worked with that and a sort of shiny material for the lining. Today I found some lace trim and I was really happy about that because I was going to go to a thrift store and pick some up from a scrap box, but now it's finished early. It's a little messy, but for my first project done completely by myself, I'm very happy with it.